The Internet Corporation for Assigned Names and Numbers has released the geo TLD .WIEN to the Internet for registration in the near future. ICANN has recently introduced six new gTLD extensions which include the first urban domain .WIEN assigned to the city of Vienna. This is the second geo Top-Level Domain delegated under new gTLDs. Geo TLD is a part-generic part-technical expression referring to geographical domains, i.e. those linked with geographical, geopolitical, ethnic, linguistic or cultural names. The first geo TLD delegated to the root zone was .RUHR, referring to the Ruhr area. There are dozens of other domains in queue, some interesting three-letter ones among them: .BCN (for Barcelona), .LAT (for Latin America), .NYC (for New York City) i .RIO (Rio de Janeiro). 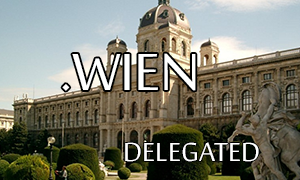 .WIEN domain names will be restricted to those entities that are able to demonstrate their connection to the city of Vienna – economic, cultural, historical or other. With about 1,7 million inhabitants, the Vienna area is a considerable market to explore. In addition to the .WIEN extension, ICANN has delegated the .KIWI domain which is expected to go into the Sunrise phase in February 2014. Other domains delegated to the root zone by ICANN include .WANG and three Chinese IDNs: .集团 (Chinese for “group”), .我 爱 你 (Chinese for “I love you”) and .中文网 (Chinese for “Chinese network”).